Your computer is acting funny. You can’t access certain files. Then, you receive a pop-up message. You read the message only to learn that your data has been encrypted and you no longer have access to it – UNLESS you send a large wad of cash to the hijacker in unmarked bit-bills. Unfortunately, bitcoin payments don’t arrive with dye packs that blow up on delivery. So, how do you get access to your data? What do you do when your business has been attacked by a hacker with ill intent? First and foremost, remove the infected computer from your network. Step Two: Run an anti-malware scanner to check for an infection. Step Three: Develop a prevention strategy so that you won’t have to go through this again. Call the IT experts at Beacon and we’ll check your network for other vulnerabilities. We’ll copy your hard drive, desk top files and applications and install a backup system that protects you from future malware attacks. If you’re unable to remove the insurgent threat, you should attempt to…. Step Four: Identify the ransomware. If the anti-malware application will not remove the threat, your next step is to identify the ransomware. You can do this through ID Ransomware. Upload the ransom note, forward a file that cannot be opened or simply input an email address from your network. This free website can often identify the ransomware that has encrypted your data. If ID Ransomware fails to identify the ransomware type, there are decryption tools that may be able to help you unlock your files. There are decrypters available to combat ransomware such as Locky, HydraCrypt, CryptoLocker, and Petya. You’ll be taking a shot in the dark so to speak, but if you hit on the right one, you’ll be able to unlock your files. By now, you may have decided to pay the ransom. While we don’t recommend doing so, only you know what this ordeal is costing you in lost revenue and/or reputation. If circumstances dictate it, one cannot be blamed for protecting one’s customers by paying the ransom. However, the IT team at Beacon can put the kind of prevention plan in place that best fits your need and budget, protects you and your customers and prevents the same kind of mishap from every happening again. Get a free assessment of your network. Contact me directly or speak with a member of our IT team at 336-447-3379. We’ll make sure you’ve got the necessary system in place to protect you from ransomware threats so that you can focus on your core business. Crypto mining is not against the law, nor is it a nefarious activity. At least not most of the time. But in order to fully understand why crypto mining can be a problem, we need to start from the beginning. Our story starts with the creation of a crypto currency called “Bitcoin”. Like Paypal, Bitcoin is an online transaction system. Unlike Paypal, Bitcoin is decentralized or “open source”. In other words, it’s open to all users, meaning any developer can modify the code that makes the software do what it does. However, all modifications must pass muster with the software’s lead developer, Gavin Andresen. With Paypal, each transaction is authenticated by a single authority or custodian. By contrast, Bitcoin uses something called a blockchain. A blockchain is a public record sent to everyone in the network. When a transaction occurs, the computers in the network automatically adjust the balances of the addresses involved in the transaction. The beauty of this system is that it’s impossible for anyone to edit and makes for a permanent record of the transaction. Crypto miners are computers along that chain. Their sole purpose is to donate their processing power, enabling verification of transactions included in the current “block”. Once that is complete, a new block is created and a new public record is distributed. In exchange for use of their CPU power, crypto miners receive 12.5 Bitcoins for every ten minutes of processing power. Being that crypto mining is computationally intensive, it requires resources that far exceed your average laptop computer (although in Bitcoin’s infancy, that wasn’t the case). It requires dedicated processors, graphic cards and more. There is overhead involved in mining currency. As a way to circumvent these costs, disreputable miners developed malware that can imitate the botnets that normally perform this function. This malware can hijack your CPU and slow everything down – sometimes to a halt. Delivery of crypto malware can occur through all of the usual means – spam emails, links and unwanted applications. These same malwares can present themselves in the form of ransomware. Ransom is always requested in Bitcoin or any of the other 700+ cryptocurrencies around today. The reason for this is simple. Cryptocurrency works with complete anonymity. You can’t trace the sender or the receiver. At Beacon, that’s what we do. As IT professionals, we work with you to ensure the safety and security of your online business. Get a free website security assessment or contact us at 336.447.3473 with any questions regarding your businesses’ IT needs. Together, we can develop a prevention plan that’ll keep your proprietary information in and cyber criminals out. While advanced hackers may use malware, they often start by attempting to exploit the easiest point of entry. This typically includes phishing emails similar to the Google Docs email link that had Google on its toes recently. If your employees leave events such as this unreported, the consequences could be devastating to your cybersecurity. With that in mind, let’s discuss some things you can do to mitigate your company’s exposure. From office culture to properly managed hosting, there are steps you can take to prevent a cybersecurity meltdown. Is this problem unique to small business? In fact, businesses of all sizes experience vulnerability from within. A recent report indicates that while roughly 40% of employees working with medium size companies hide incidents, the percentage drops significantly with companies of under 50 employees. This makes a great deal of sense. Here’s why. Office culture plays a significant role in incident disclosure. A smaller staff generally means a more easily controlled office culture. There are fewer people to educate or inform. This becomes evident when one looks at businesses of less than 50 employees. Here, the incident rate drops to roughly 30%. The message one conveys to office staff is of paramount importance. It should be one of education, not punishment. Ask yourself why employees hide a potential breach. The answer is simple. Fear. If an employee is threatened with termination for such a mistake, it is clearly in their best interests to sweep it under the rug. To summarize, take an educational approach to your cybersecurity office culture. Emphasize responsibility while reducing fear of punitive consequences. You’ll be amazed at the difference it makes. Start with basic password protection. Require that users re-log in after periods of inactivity. Restrict use of the office network for business. File sharing of a personal nature or access to inappropriate content begs for a security breach. When working remotely, employees should be working through a company VPN requiring a robust password. Set up appropriate firewalls and make sure that your IT department or hosting partner has an intrusion detection and monitoring system in place. Make sure that they are staying on top of anti-virus updates and installing patches accordingly. Questions about your company’s cybersecurity? If cybersecurity is an issue you’re giving thought to, give the folks at Beacon a ring. Call one of our team members at 336.447.3473 or send me an email. Better yet, take our FREE network assessment and let us help you understand your current state of vulnerability and what you can do about it. Despite significant investment in cybersecurity, businesses are seeing more cyber-attacks that ever before. Remember back to Black Friday, October 21. We saw the largest DDoS attack of its kind, bringing down sites such as Twitter, Netflix and CNN. And things are trending worse. There were almost 1000 reported data breaches in 2016 according to the ITRC (Identity Theft Resource Center). In 2015, there were under 800. That’s about a 25% increase in reported incidents. Noting past threats and recognizing trends can be an important part in deterring future intrusions. Almost 60% of ransomware infections were found to have been delivered through email and infected email transmissions increased by a whopping 6000% last year. Yes, that’s three zeroes. Perhaps worst of all, many of those who were adversely affected simply considered it the cost of doing business. Nearly 70% of those hit paid the ransom. Look at these numbers (particularly the last one) and you can see why this will remain a problem. Hackers have every reason to continue a very profitable activity. There’s an underground market for open source ransomware, too. In fact, anyone can build and launch ransomware from their own home. Buying a kit on the dark web is almost like shopping on late night TV. Yesterday’s ShamWOW is today’s AKBuilder ransomware kit. As a result, the threat of cyber-attacks has the potential to increase 10 fold in 2017. There’s a huge underground market for access to email accounts, phone numbers and private data, as we all know. Even on a locked iPhone, one can gain access through voice-activated commands. Additionally, irresponsible use of mobile devices by employees continues to be a problem. Remember “jailbreaking” your iPhone? Some of those who chose to do so unwittingly sent their personal information to a server in China. Even foreign governments are in the hacking business. What kind of name is Siri, anyway? Does she sound American? If you run almost any kind of business, you may be in the crosshairs of a group representing a cause or political objective. These groups are becoming increasingly hostile towards those with alternative viewpoints and have been embracing the idea of hacking the sites of their adversaries. We’re all familiar with WikiLeaks and the CIA debacle. One can debate whether the cause is good or bad. One cannot (or should not, in my view) condone cyber theft under any circumstances. But as a society, we often look the other way when it suits us. As long as that’s the case, this problem will persist. If you’re in the process of evaluating your network security and/or stability, I invite you to contact Beacon directly and speak with a BITS specialist. We’re happy to answer any questions and get you started on protecting your business’ proprietary information. Call us at 336.232.5675 or email klackey@beacontec.com. You may be asking this very question as cyber criminals find more and more ways to access databases for valid email addresses to exploit. Spam emails, malware and phishing messages aren’t going away any time soon. But you can take solace in the fact that your Outlook office suite has a spam filter feature enabled automatically. Or can you? The more you know, the more likely you are to consider using third party spam filtering solution in addition to the out-of-the-box protection you already have. Yes, the major office suites have an anti-virus solution built in. However, they are designed with the most minimal of requirements in mind. Additionally, it is important to note that once configured, it takes time for the out-of-the-box spam email solution to learn what is and isn’t spam. Hosted email protection services can work around the clock (and right away) to sense more complex attacks and defeat them. A third party anti-spam solution can save you and your company time and money because…. You use less bandwidth. A third party solution vets incoming emails before they reach you. Only the ones deemed acceptable will travel to your email server. If your server is down, you can still get your email. If your mail server is down for any reason, many third party email solutions enable you to access your email from their server. This is a tremendous benefit should you have an unexpected or lengthy server interruption. You won’t be victimized by ransomware. Due to recent events, we’re all aware of the damage ransomware can do. There are third party anti-spam solutions created to defeat the latest internet scourges such as Petya and WannaCry. Out-of-the-box spam coverage is static. No worries about a DoS attack, either. A DoS or denial of service attack attempts to overwhelm your server by sending an extreme volume of traffic from multiple sources. The objective is to bring your operation down and make you lose money. Since a third party service vets your email before it ever arrives at your server, the attack is detected and thwarted. What works best for email security and protection? Our IT services team has almost 20 years’ experience fighting spam related, nefarious activity. We do exhaustive research into the latest technologies that we might leverage to keep our clients’ proprietary information safe. Beacon chooses to partner with ESET, offering their security suite to our clients. ESET has advanced security features that perform a cut above most anything else we’ve worked with. Their small business antivirus software is reliable and features an easy to use management console. The software includes a firewall and you can enhance your email protection through this interface. Testing has indicated that it rarely if ever produces a false positive. In other words, not only does it perform well in eliminating malicious email, it does not confuse safe transmissions with questionable ones. Additionally, the software’s anti-theft feature not only protects your mobile devices but should you lose your cell phone, you can lock your device remotely or even wipe it completely. Could you benefit from a third party anti-virus solution? Take the first step by getting a FREE network assessment from the IT professionals at Beacon. We’ll review your current to setup and let you know of any vulnerabilities we find and who you may be able to address them. Call Beacon IT Services at 336-447-3473 or email me at klackey@beacontec.com with any questions you may have on email management and anti-virus protection for your business. If you’re like most people, you know what a firewall does on a very basic level. However, many are unclear as to how they work – and in some cases, if they have one enabled in their network. Below, we’ll discuss the whys and wherefores regarding firewall protection and provide some clarity to anyone asking “Do I need a firewall?”. Access control lists or ACLs perform a basic function. 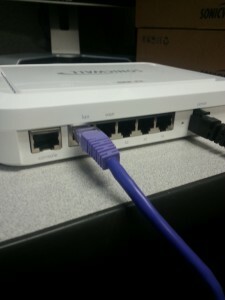 Through some very simple rules, they determine network access based on IP addresses. However, ACLs provide only the most basic information on incoming traffic and are not nearly adequate enough to filter out traffic threats. Acting as a middleman of sorts, a proxy firewall can make more intelligent decisions. The proxy firewall vets the incoming communication and determines its legitimacy. If it decides to grant access, the information is repackaged with the proxy server as the source address. This is referred to as packet filtering. 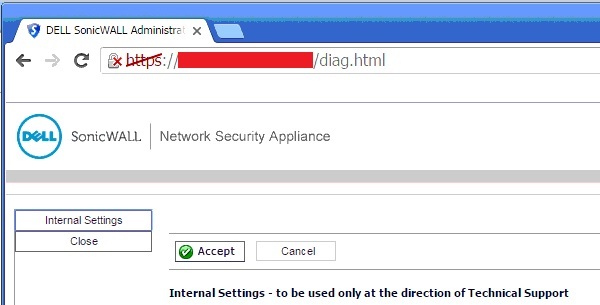 This process breaks the one to one connection between the two computers so that there is a single gateway between the network and the rest of the WWW. While the description above is a gross simplification of the process, one can easily envision hackers finding a way around a firewall through development of more sophisticated malware. Next generation firewalls (NGFWs) are even more sophisticated, combining traditional firewall protection with added filtering functionalities. They can be more granular in their inspection of incoming traffic and can detect more sophisticated application specific attacks, for example. Why Do I Need Firewall Protection? Make no mistake about it, hackers would love to compromise your POS system and harvest your customer’s credit card data. Some may simply want to hijack your high speed connection to send out spam email or viruses. Either way, they can do tremendous damage to your company’s reputation. Even next generation firewalls (NGFWs) aren’t 100% effective. It may be advantageous to review your current network firewall setup to ensure that the network security you currently have in place isn’t outdated. When it comes to network threats, it is often more cost effective to be proactive rather than reactive. What Can BITS do for your business to ensure your network security? With over 20 years’ experience in network security, the BITS team of network security experts can ensure that your network is protected from hackers, viruses and the many other security risks that exist. Working with primarily small and medium sized businesses, our network consultants can assess your current situation, install a brand new hardware based firewall or make recommended changes to your existing network security. Take the first step to ensuring your businesses’ network security by getting a FREE network assessment from the IT professionals at Beacon. Or, call 336.447.3473. Either way, you can rest assured that you’ve taken the first step to securing your computer network from the increasingly sophisticated threats that await.